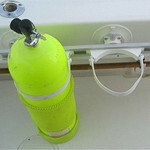 Almost every accessory in your boat has a life span. When it comes time to replace it the new accessory may have different mounting holes. Tired of drilling holes in your boat only to fill them in or worst still discover rot or rust underneath. Then check out SeaSucker Marine products incorporating their super powerful vacuum mounts with up to 90 kg of holding power from a single vacuum mount. 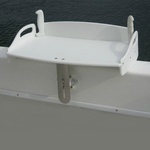 SeaSucker Boating & Fishing Products require no screws or holes. Best of all you can relocate them in seconds. The SeaSucker range includes Rod Holders, Bait Boards, Tablet & Smartphone Mounts, GPS & Fish Finder Mounts, Dive Tank Holders, Cup Holders, Storage Solutions and more. 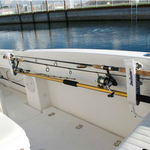 Lee's Tackle manufacture premium boat rod holders, fishing outriggers and rod storage solutions. Reel Colors manufacture ground breaking overhead reel power handles and premium teaser reels. Buy with confidence from the Australian Authorised Distributor for SeaSucker Marine Products and Re-seller for Lee's Tackle and Reel Colors.